When I first heard of Camp Sunshine my mind immediately took me back to the time when my baby brother was diagnosed with cancer. I was a child by then, but I remember vividly the toll this took on my family. Looking backwards, what a difference would it have made to our family if we had participated in a program aimed to help families coping with terminal illness. Childhood cancer is a cruel disease that has a tremendous impact on the families affected. At any given time, cancer holds 10,700 American children in its grip. It robs them, and their families, of the laughter and joy that should be part of every childhood. Camp Sunshine is a nonprofit organization in Decatur, Georgia, that is dedicated to enriching the lives of children with cancer and their families through recreational, educational and support programs. Founded in 1982 by Dorothy Jordan, a pediatric nurse. It began as a summer camp for children with cancer and held its first camp in 1983 with 44 children. Camp Sunshine began to expand to other programs when the first Family Camp Weekend was held in 1987. 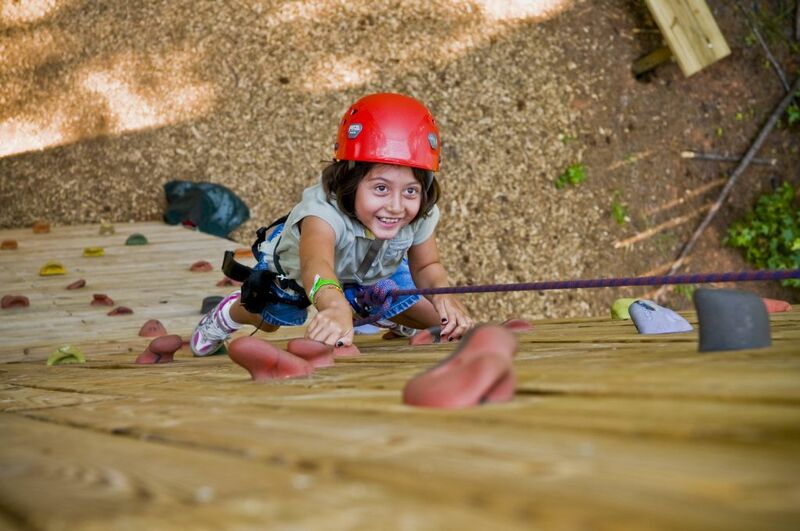 Today, over 400 campers and 200 volunteers participate in one of two weeks or summer camp. Today, Lindsey Monroe, Special Events and PR Coordinator sat down with us and gave us an insight of this wonderful organization. 1. What is the Camp Sunshine House? 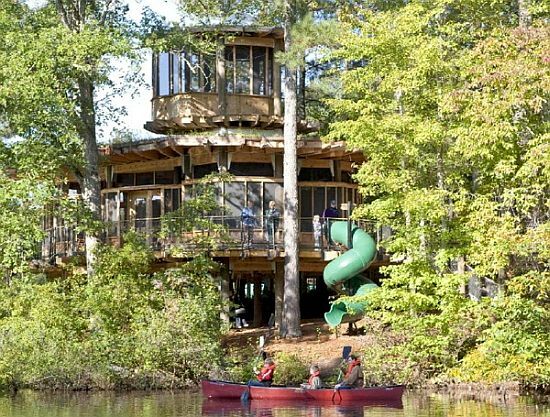 Camp Sunshine House was built in 2003 when we realized that we needed a place where children and families could come throughout the year for ongoing support and programs to connect with other families. We have programs on a weekly basis at the House, providing much-needed support, educational opportunities, and fun for the families we serve. 2. How many programs does camp Sunshine have? Quite a few! Our largest program is Summer Camp, with more than 400 campers participating. We also offer programs for the whole family, because cancer affects an entire family – not just the patient. Family Camp weekends in the spring and fall are wonderful times for a family to spend time together at camp, participating in activities all together. We even have Sibling Camp in the summer that is just for our campers’ siblings, to give them something special and all their own. We have age-specific programs as well. Preschool programs include a bi-weekly music class at Camp Sunshine House, Spring Fling and others. School age programs include overnights and excursions to fun places. For teens, we have a spring and fall Teen Retreat weekend at camp, along with a trip to Washington DC, dances and lock-ins. 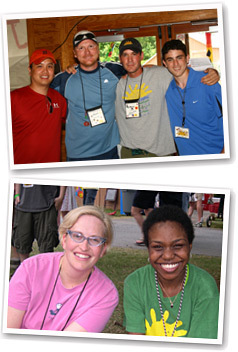 For young adults, Camp Sunshine offers various outings and educational opportunities. At Camp Sunshine House, we also have several programs offering support and an opportunity to connect with others such as our monthly Remember the Sunshine group for bereaved parents; Family Night for families still dealing with their child’s treatment; and Spa Sydell Night which offers facials, massages, and manicures for total relaxation! 3. Are there any costs for these programs? 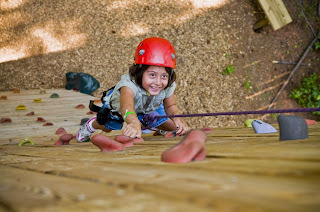 No, all of Camp Sunshine’s programs are completely free for our camper families. 4. Where do you camp? 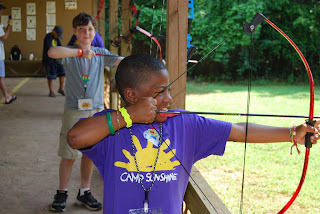 Camp Sunshine is a partner of Camp Twin Lakes, in Rutledge, GA. Camp Twin Lakes offers a facility that is totally accessible for kids with special needs. 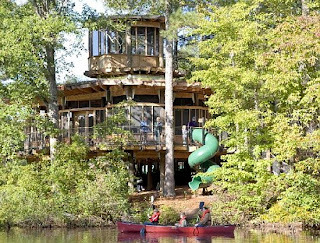 You’ll find many of the same activities found at traditional summer camps like swimming, archery, horseback riding, tennis, pottery, and - of course - fishing. 5. What type of workshops do you offer to parents? Periodically we offer educational seminars that cover a variety of issues. In March we are holding our “Next Steps: Off Treatment Workshop” to help families transition from having a child on therapy to getting back to normal life and dealing with the effects of treatment. We have also held a workshop “Parenting Through Illness”, which addresses concerns and challenges that many parents face when their child is sick. Another fun workshop we hold is a “Planning for College” seminar, when we bring in admissions professionals from colleges to help our campers and their parents plan for all of the variables that go into the college application process. 6. Do you have an upcoming fund-raising event? 7. 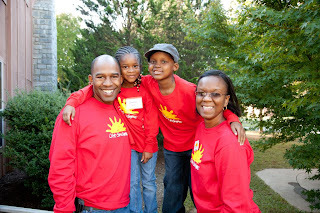 What are the 10 donations Camp Sunshine needs most? 8. Are you expanding your services to other areas around Georgia? Yes! For several years we have offered programming in several regions around Georgia. We try to do at least two programs in each region every year. We created our regions by mapping where our campers are located, so we have regions surrounding Athens, Rome, Gainesville, Macon, Savannah, Columbus, and Valdosta. We are thrilled to be able to offer programs throughout the state and hope to include all children in Georgia who have been diagnosed with cancer. 9. What has been the biggest challenge of your organization during these tough economic times? The biggest challenge has been to continue with the same programs and services during a time when Camp Sunshine, like many organizations, has seen a decrease in contributions. Camp Sunshine has a long history of loyal community support and a strong and engaged Board of Directors which have empowered us to continue our programs with confidence. We have learned to do more with less during this time but are committed to providing vital programs for children and families we serve. We have just completed our latest strategic planning which will guide our organization for the next several years with a strong mission based plan. 10. 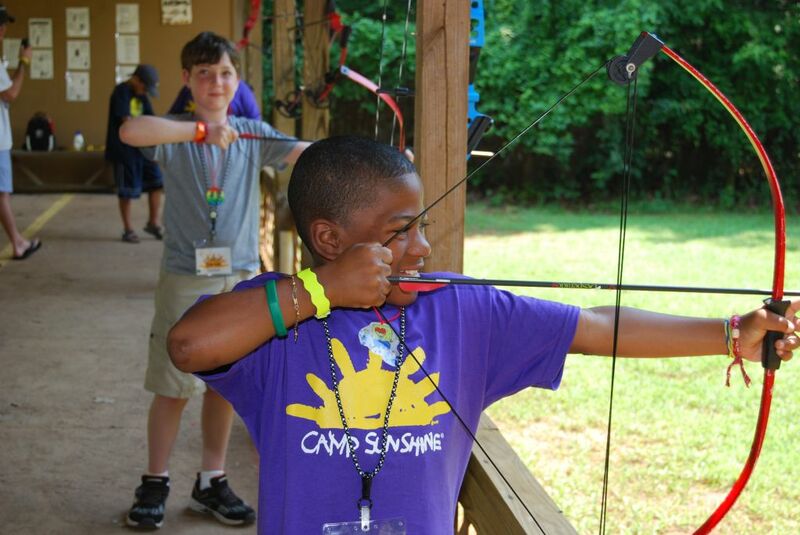 What role does volunteer work play at Camp Sunshine? Volunteers are absolutely vital to Camp Sunshine. Our office is small – only seven staff members – so our programs would not happen without our amazing volunteers. Many of our volunteers are former campers themselves, which is really unique. Volunteers support nearly every program we do. We work hard to train our volunteers to handle any situation that may occur when dealing with children in a setting like camp. Camp Sunshine also has a large contingency of experienced medical volunteers, including nurses and physicians, who specialize in caring for children with cancer. A nurse is present at most programs and at summer camp we have a 24 hour onsite medical facility that is equipped to provide any treatment that is necessary, including chemotherapy. 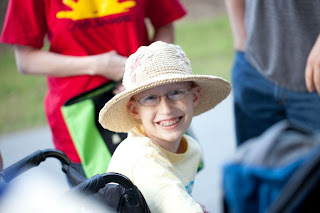 A camper can have chemo in the morning at camp and be riding a horse by that afternoon – it’s really amazing! this is so awesome, Liz. I'll more into it as I love doing philanthropic and charity work, especially when it involves children. Thanks for sharing. i am a 25 year volunteer with camp sunshine. thank you for doing such a fine article on camp. there are no words to describe the joy, energy and friendships that are made through this organization. keep on blogging! x0x0x0 "bubbles"